Is there a way to have multiple lines of text in UILabel like in the UITextView or should I use the second one instead? On the side: both enum values yield to 0 anyway. When typing within the text field using IB, use "alt-return" to insert a return and go to the next line (or you can copy in text already separated out by lines). The best solution I have found (to an otherwise frustrating problem that should have been solved in the framework) is similar to vaychick's. property you can also use a standard line break ("\n"), in code, to force a new line. You can use \r to go to next line while filling up the UILabel using NSString. Set number of lines zero for dynamic text information, it will be useful for varying text. let stringValue = "A label\nwith\nmultiline text." For some reasons its not working for me in iOS 6 not sure why. Tried it with and without attributed text. Any suggestions. And while giving input String use \n to display different words in different lines. I agree with Jarred Olson, NSLineBreakByWordWrapping is default. I added property sizeToFit like the guide of Gurumoorthy Arumugam to fix it. Already answered, but you can do it manually in the storyboard too. 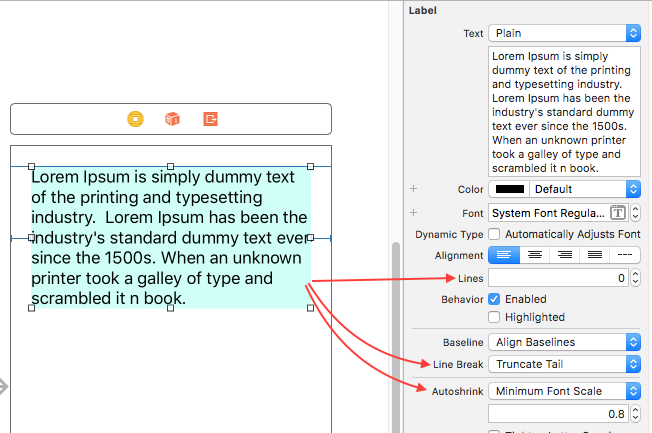 Under Attributes Inspector for the Label, you can change Line Breaks to Word Wrap (or character wrap). In this function pass string that you want to assign in label and pass font size in place of self.activityFont and pass label width in place of 235, now you get label height according to your string. it will work fine. 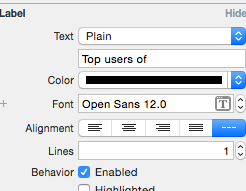 and please don't forget to set left, right, top and bottom constraints for label otherwise it won't work. 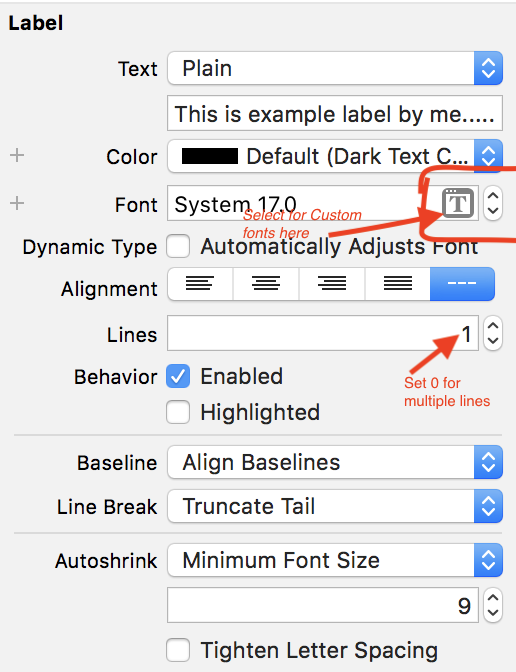 To display multiple lines set 0(Zero), this will display more than one line in your label. If you want to display n lines, set n.
On C#, this worked for me inside UITableViewCell. Not the answer you're looking for? Browse other questions tagged ios uilabel uitextview line-breaks multiline or ask your own question. 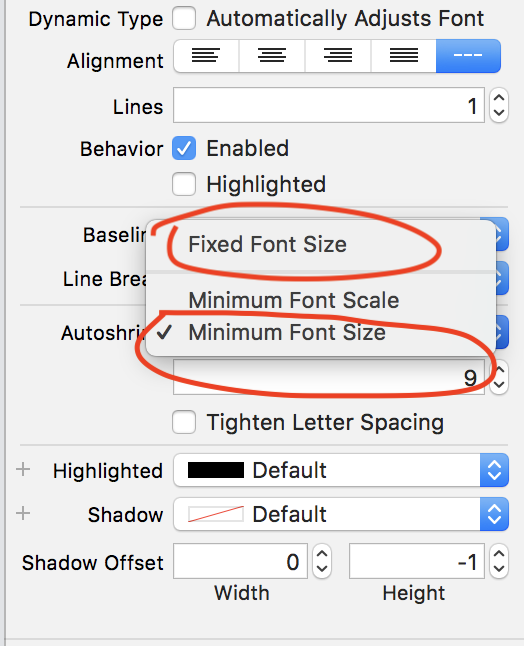 How do you show multiple lines of text in a UILabel using Swift? 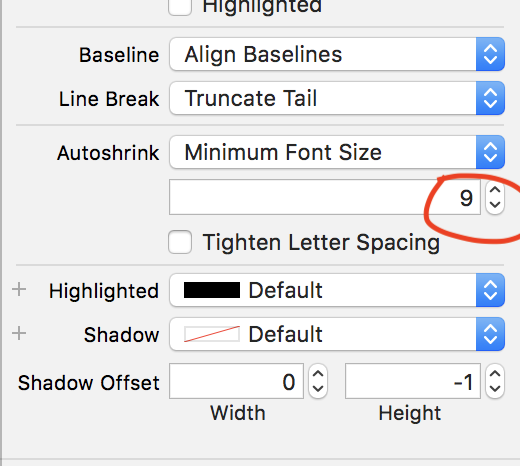 How to show two lines of text in detailTextLabel of UITableViewCell? iOS how to set dynamic tableview cell height without autolayout? iPhone:How to split NSString in multiple lines and its set into UILabel?